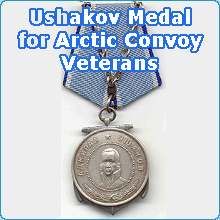 Wayne Aves, I've asked repeatedly about the Ushakov Medal being awarded posthumously, the reply I got was it would be impossible to give medals to all, only those alive when applying can get one, so sad when many truly deserve this medal. My late Father, Stanley McKessock, was on the convoys during WWII and, although it is too late for him, our family support the Veterans. 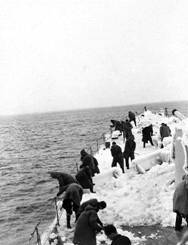 We are part of the Russian Arctic Convoys Club (21st Century) and we have just found the family of a Veteran who is on the Ushakov List for which the Russian Federation have been searching. We are so happy to unite this special Medal with his family and hope the Russian Consul in Edinburgh will work with us in the future to ensure the legacy of these men is not forgotten. I received a visit from a member of the Russian Embassy to present My late father Keith Howard Jackson with a Ushakov Medal, he was in 1941 / 42 a junior Merchant Navy Officer on the SS Empire Portia , whilst in Murmansk the ship was bombed resulting in a longer stay than was intended, about 9 months in all having spent the winter in Northern Russia, although not alive to receive it himself he knew it was coming and was looking forward to it arrival. In response to Ian Johnson. No I have not received a reply about the Usahkov medal being awarded to those Veterans who have passed. I intend to write directly to the ambassador in London and also send a copy to his Australian counterpart. 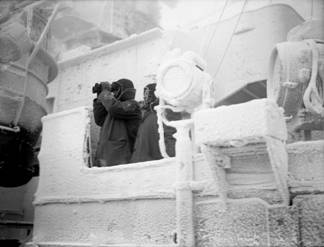 my father was on the Shera and met his death on the Shera He was William Kerr McGinn age 24 LT/KX 145988 this ship was not sea worthy all the crew knew it, captain gave them shore leave to see there family's for the last time under the promise that they would come back, all came back! my father had two boys I was 10 months old my brother was 21 months old! we have suffered all our lives because of this action, its been hard to say the least!! 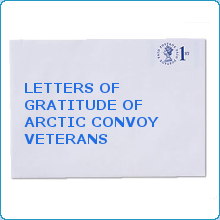 To Wayne R Aves - Did you ever receive a response to your question about posthumous award of the Ushakov Medal? 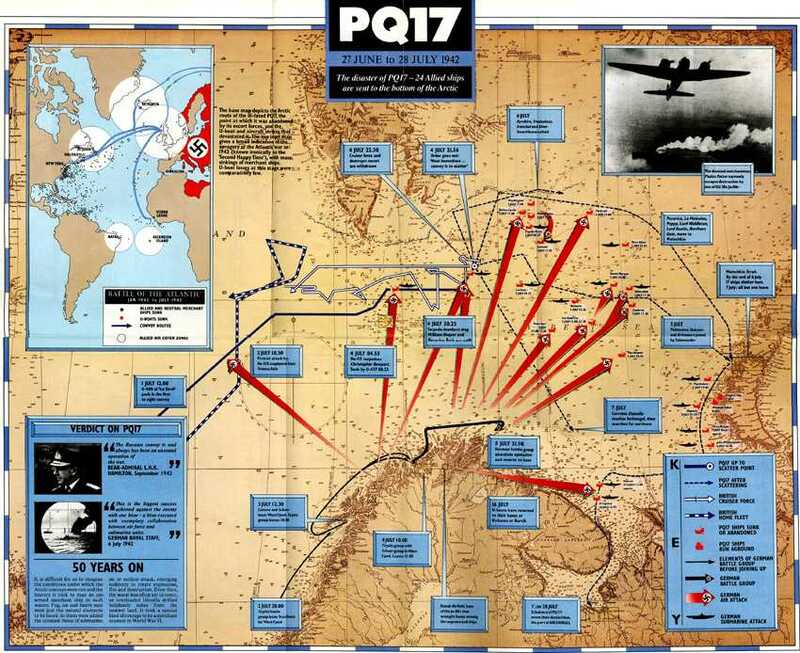 My Grandfather was killed following the sinking of SSBotavon in PQ15 in May 1942. It seems sad that those who made the ultimate sacrifice aren't entitled to the award. I've recently successfully applied for his WW2 campaign medals which were never awarded originally and it would be fantastic to add to that an award from Russia, the country that he was helping when he paid with his life.